Often it is easy to project the two teams from the previous World Series as obvious candidates to return – but that might not be the case with the 2015 season. The San Francisco Giants defeated the Kansas City Royals in seven games in the 2014 World Series, yet both teams have major questions heading into this upcoming year. If either is going to make it back to the top of the game, they will have to meet many challenges along the way. Somewhat surprisingly, neither team was very active in the offseason in terms of acquiring free agents. Each team lost players who were major contributors to their success in 2014, and both got into the playoffs through the wild card route – meaning that they weren’t among the very best during the regular season. 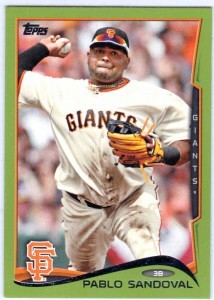 The most notable departure from the 2014 team is Pablo Sandoval, who took a free agent deal in Boston to play for the Red Sox. 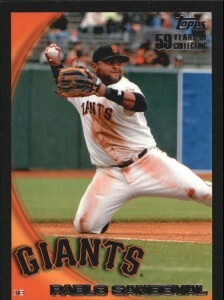 Sandoval has been one of the most-visible figures for the Giants during each of their three World Series titles in the last five years. While he might not be a superstar-level performer, the Giants could have trouble replacing his production both in the field and at the plate. The Giants also lost power hitting Michael Morse to the Marlins, taking away some of the limited power they featured in the lineup. If the Giants are going to return to the playoffs and make another push for the World Series, they are going to need contributions from players who have not yet produced at a high level in the major leagues. 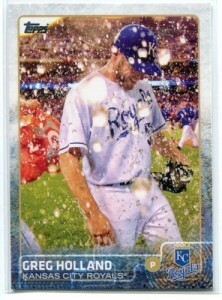 The Royals offseason followed in a very similar track to the Giants – meaning that there wasn’t much going on in K.C. They did sign Kendrys Morales to replace the loss of Billy Butler. However, Morales is coming off of a terrible season with Minnesota and Seattle, so he will need to rebound in a big way if they are to get any value or production from that deal. Also, James Shields has moved on to San Diego in free agency. While the Royals did make it to game seven of the World Series, there were already major questions regarding their offense in 2014. Nothing that they have done during the offseason would seem to have solved any of those problems. Much like the Giants, the Royals may need contributions from unexpected places in order to contend once again. After sitting out the entire 2014 season, Alex Rodriguez will be back in uniform for the New York Yankees as spring training gets underway in Florida. Rodriguez will turn 40 during the season, and it is easy to say that no one knows exactly what to expect from the former star at this point in his career. Major league pitching is hard to hit for anyone, let alone a player who had to sit out an entire year and is approaching forty years of age. A-Rod is owed more than $60 million total over the next three seasons, but it wouldn’t be a surprise to see him released at any point by the Yankees if his performance does not return to a reasonable standard. Not only is Rodriguez returning after sitting out all of 2014, he also only played in 44 games in 2013, hitting just .244. So, if he is going to return to form as one of the best hitters in the league, he is going to have to overcome an extended period of inactivity to restore the timing and power that used to be so impressive. Rodriguez is truly one of the best hitters in baseball history, and the Yankees are hoping that some of that former glory will be able to return for at least the 2015 season. Of course, Rodriguez moved from shortstop to third base when he came to New York because of the presence of Derek Jeter. However, the Yankees signed Chase Headley during this offseason to handle the third base duties, meaning that Rodriguez is likely headed for a DH role on the 2015 squad. There is also the possibility that he could take reps at first base as well, with Mark Teixiera often struggling with injuries of his own. For most players, spring training is just a time to work off the rust, get in game shape, and get into the rhythm of playing games every day. However, for Alex Rodriguez, spring training 2015 is likely to be far more important. Not only will Rodriguez be making his return to the field after an extended break, but he will also need to show the Yankees what he can do before heading north to start the year. If he is unable to find the timing in spring training, the Yankees could face a tough decision when the start of the regular season comes around. This will be one of the most-interesting stories to watch from all around baseball in March. In recent years, one of the more-predictable aspects of the American League was the dominance of the Central division by the Detroit Tigers. Even in 2014, when the Kansas City Royals would up going all the way to the seventh game of the World Series, it was actually the Tigers who won the regular season crown in the Central. They have been the best team in this division for several years now, and are consistently one of the best teams in the American League. However, as the 2015 season gets ready to go, there is a certain level of doubt surrounding the once-dominant Tigers. One of the problems that the Tigers would seem to face in the years ahead is the age of three of their most-notable players – Miguel Cabrera, Justin Verlander, and Victor Martinez. While Martinez is the oldest by a good margin, each player has seen some kind of performance drop off in recent years. Verlander struggled for the most part in 2014 after being one of the best starters in the game for many seasons. 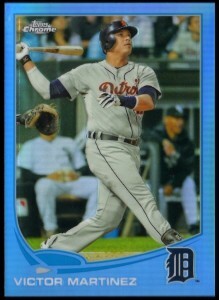 Cabrera is still a feared hitter to be sure, but his defense is a question mark, as is his health. Martinez has already had surgery in this offseason and will be questionable to be ready by opening day. 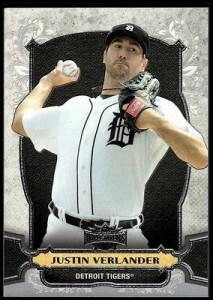 Verlander is under contract for many more seasons, so the Tigers will simply have to hope that he returns to form. With Max Scherzer departed via free agency and David Price entering the final year of his contract, the future for the Tigers from a pitching perspective seems to be up in the air. If Verlander fails to return to most of what he was, the Tigers could be in real trouble for the next few seasons. Added to these concerns is the fact that most people rank the Tigers farm system as one of the poorest in baseball at the present time. As mentioned above, the Royals made the World Series from this division last year, so the Tigers will need to watch out for them in the coming season. Also, the White Sox and Indians both seem to be better positioned than they have been in recent years to make a run late into September. The Twins appear to be the only team that doesn’t have much of a chance on paper to be a contender in 2015. With stiffening competition and an aging group of star players, it could be a tough go for the Tigers in the coming season and beyond. In the end, the 2014 American League Champions turned out to be the Kansas City Royals. Not many would have predicted that outcome at this time last year, but what an incredible ride it ended up being for the loyal fans in KC. The Royals played countless dramatic games coming down the stretch in September and October, including the stunning rally against the A’s in the A.L. Wild Card game. However, as we turn the calendar and get ready for the 2015 season, things don’t look so rosy for the defending league champions. They had a very quiet offseason, and saw James Shields depart for San Diego along the way. It isn’t outside the realm of possibility that the Royals could repeat as A.L. champs, but it doesn’t seem particularly likely. So, if they fall short of the mark this season, which teams are poised to take their place? Following are three possibilities. Despite having a dismal season in 2014, the Red Sox appear ready to get right back into the mix. They have added a number of new faces, including Pablo Sandoval and Hanley Ramirez both moving from their previous homes in California to the northeast. Those two should provide a significant upgrade for the Red Sox, who will also be hoping the David Ortiz can continue his production even with another year on the odometer. One of the biggest questions surrounding the Red Sox might actually be Dustin Pedroia, who had a down year in 2014 after being such a consistent performer for so long. The Mariners fell one game short of the postseason in 2014, and basically that entire team returns for another run – with the notable addition of 2014 homerun leader Nelson Cruz. By adding Cruz, the Mariners will be able to present a formidable 3-4-5 in the order, with Cruz presumably hitting between Robinson Cano and Kyle Seager. All three of those players were All-Stars in 2014, so Seattle may finally have the offense they have been searching for to pair with their impressive pitching staff. Felix Hernandez, Hisashi Iwakuma, and James Paxton all return to the rotation, along with new addition J.A. Happ from Toronto. There is a chance for an exciting race to develop in the A.L. East this season between the Red Sox and the Blue Jays. It seems like the Jays have been expected to improve for several years now, but this just might be the season where it all comes together. Sluggers Edwin Encarnacion and Jose Bautista are still in place, but they have added to that lineup with All-Star third baseman Josh Donaldson via a trade with the A’s. If their young pitching can come through for a full season, the Blue Jays could be tough to deal with for the rest of the league. While Miguel Cabrera gets most of the offensive headlines in Detroit – and for good reason – it was Victor Martinez that had an incredible season in 2014 and led the Tigers to another playoff appearance. While the Tigers fell short in the playoffs again this past season, they have been making regular appearances thanks in large part to the production of Martinez. As a free agent, and coming off of his best season, it was thought that Martinez would be one of the hottest commodities on the market this winter. In reality, that market never really heated up, as he quickly resigned with the Tigers for a lucrative contract. In terms of performance at the plate, there were no doubts as to what Martinez accomplished in 2014. 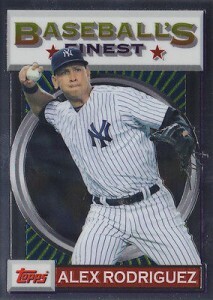 His OPS of .974 led the American League, and he was highly ranked in just about every offensive category. As primarily a DH, his value is tied to the performance on his bat – but that bat is about as valuable as they come. However, Martinez has been in the league for some time, and will be going into his age 36 season in 2015. That means that the four year contract he signed with the Tigers will carry him through his age 39 season, while paying him a total of $68 million. If the Tigers are going to look back fondly on this contract, they are going to need to hope that Martinez stays healthy and productive right up to his 40th birthday. While getting Martinez back in the fold likely means good things for the 2015 version of the Tigers, there could be signs of trouble ahead. The starting pitching in Detroit, such a strength in the past, is starting to show some cracks. Max Scherzer, one of the best starters in baseball, is a free agent currently and unlikely to return to Detroit. David Price was acquired by trade last season, and has one year remaining before he hits free agency. There is a good chance that 2015 will be his last in Detroit. And then there is Justin Verlander. With a full six years left on a massive contract, Verlander struggled mightily in 2014 and remains a question mark heading into 2015. If he is unable to regain his previously dominant form, the Tigers will have a major problem has they have a large portion of the payroll dedicated to the big right hander. Without elite performance from Verlander, it seems unlikely that the Tigers will remain at the top of the A.L. Central, especially with the Royals coming off of a World Series appearance. After a great season in Baltimore which saw Nelson Cruz lead the major leagues with 40 home runs, Cruz is taking his power and heading to the Pacific Northwest where he will attempt to boost a Mariners team that fell just one game short of the playoffs in 2014. Cruz provides much needed right handed power for the Mariners, where he figures to see most of his playing time at DH. While Cruz is already 33 years old, and will be 37 during the final year of his new four year contract, the Mariners will hope to keep him healthy by keeping him out of the outfield the majority of the time. Looking at the glass half full, the Mariners hope that Cruz can represent one of the last pieces that they needed to return to the playoffs for the first time since 2001. If Cruz can replicate most of his production from last season with Baltimore, he will form a formidable middle of the order group along with Robinson Cano and Kyle Seager. While hitting 40 home runs again, in the larger Safeco Field, seems like a longshot, even a 30 home run season may be all that the Mariners need. After all, Seattle led the American League in ERA last season, and will be returning the majority of that pitching staff for 2015. One the other side of the equation, Cruz is a slugger nearing his mid-30’s – a point where many power hitters begin to decline. If his power starts to go away quicker than expected, most of his value will be gone along with it. Cruz doesn’t offer many other notable skills, as his value is tied directly to the amount of power he is able to bring to the order. As a DH, Cruz will have to keep hitting for the next four years if the Mariners are going to get a good return on their investment. For the Mariners, right field appears to be the final spot that needs to be filled before the roster will be ready to head to spring training in 2015. Most likely, the Mariners will look to make a trade to fill that spot in right field, whether it is a big name like Justin Upton or Matt Kemp, or a small acquisition. If they are able to locate a quality right fielder to add to the everyday lineup, Seattle could enter the season as the favorite in the difficult A.L. West. 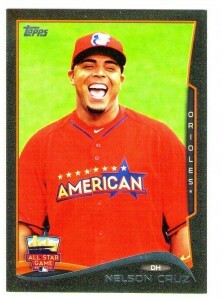 As for Nelson Cruz, this contract represents what he has been looking for over the last couple of years. He signed a one year deal with Baltimore last year in order to prove his value – which he did, and then some. The reward is a lucrative four year deal, and he will now attempt to help complete the Mariners return to postseason competition. 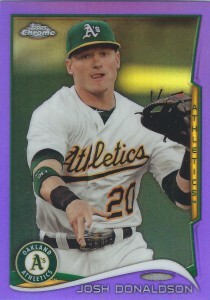 In a surprising move that was foreseen by no one in the baseball world, Josh Donaldson was traded by the A’s to the Toronto Blue Jays in exchange for Brett Lawrie and a group of younger players. Donaldson has been one of the best players in the American League in recent years, bringing a solid bat and an excellent glove at third base. While Lawrie is a talented and powerful young player, he has had difficulty staying healthy and his performance has been up and down when on the field. In the end, the evaluation of this trade from Oakland’s perspective may come down to the success of the younger players included in the trade. What’s the plan in Oakland? The last few months in Oakland have been interesting, to say the least. 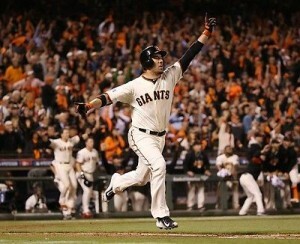 In July, they were leading the way in the American League and were the consensus pick to make it to the World Series. After trading away Yoenis Cespedes in exchange for Jon Lester, the A’s fell apart and had to hang on to even make the playoffs at all. They got into the last wild card spot on the final day of the season, and proceeded to lose that wild card game to the Royals. Instead of challenging for the World Series, the A’s went away quietly and were left to figure out where it went wrong. In light of the Donaldson trade, it is fair to wonder if the A’s are trying to rebuild by selling off some of their valuable pieces before they get too expensive or leave as free agents. Beyond Donaldson, there is also the possibility that Brandon Moss will be moved as well before the offseason is over. Oakland is noted for their small budget in comparison to the rest of the league, so they frequently have to trade away talented players so they can acquire more affordable young players. While the A’s would certainly like to contend again in 2015, that might quickly become an impossibility if they continue to liquidate the talented players that had led them to success early in 2014. For Donaldson, this trade could serve to take his profile even higher as he heads toward eventual free agency down the line. The Rogers Centre where the Blue Jays play is known for being a great place to hit, and his power stroke is likely to play well in that environment. Additionally, the Blue Jays are assembling a potentially contending team for the coming season and Donaldson should have a great chance to return to the playoffs in 2015. Where Will Jon Lester Cash In? Until a few months ago, Jon Lester’s entire career has been played in a Boston Red Sox uniform. Lester has had considerable success with the Red Sox, and the team has had great success as well. 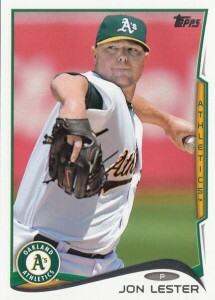 For those reasons, most people assumed that Lester would be a lifelong Red Sox member despite his impending free agency. It seemed like only a matter of time until the two sides would agree on a contract extension that would keep Lester in place throughout his prime. Maybe not so fast. Prior to the trade deadline this past season, Lester was traded to Oakland for Yoenis Cespedes. Of course, at the time, the Red Sox were out of the race and didn’t want to risk losing Lester for nothing at season’s end, so they made the move to add the Cuban slugger. Even still, many people expected that once the season ended, Lester would sign back with Boston. However, as the offseason has moved along, it has become clear that the Red Sox aren’t the only team with designs on signing the powerful lefty. While the Red Sox are still very much in the mix for the services of Lester, the Chicago Cubs are another strong contender who appears will to spend big (among others, such as the Giants and Cardinals). The Cubs are in a great position to bring in a high priced free agent because much of their roster is made up of young, talented, and affordable players. If they can combine and experienced veteran with the ability of a Jon Lester with their young core of talent, the fortunes of the Cubs could finally be turning around. In the end, the team that is able to offer an extra year on the contract will likely be the one to win the bidding. Which City Offers More Potential? While the past decade would indicate that Lester would be better off returning to Boston if he wants to win, the future might look different than the past. The Cubs are a young and talented team, and the Red Sox are signing older free agents in an effort to recover from a disappointing season. Only a year removed from a World Series title, the Red Sox seem to be farther away than they have in recent years. Of course, the addition to Jon Lester would go a long way toward putting Boston back near the top of the A.L. East. The money that is offered to Jon Lester is likely to be pretty similar between Chicago and Boston, so it will likely come down to where he prefers to pitch. Does he go back to the familiarity of Fenway Park, or accept a new challenge with a young Cubs team? It will be interesting to see how this decision is settled. 2014 didn’t go well for the Boston Red Sox. The 2013 Red Sox won the World Series, but the 2014 version never really got off the ground, and was out of the race by the middle of the season. With one of the biggest budgets in baseball, seasons like the one they had in 2014 don’t sit well in Boston. The team was sure to take quick action in an effort to turn around their fortunes in the season to come – and they did just that, signing two of the biggest free agent names on the market. Both of the players that Boston has signed to significant contracts for the next few seasons – Hanley Ramirez and Pablo Sandoval – are coming to the Northeast from California where they were playing in L.A. and San Francisco, respectively. Also, both were playing in the National League, and neither has ever played significant time for an American League team. Sandoval has played his whole career with the Giants, while Ramirez actually began his career in Boston but only recorded two total at bats before being traded to the Marlins. He then spent several seasons in Miami before heading across the country to L.A. There is no doubt that Sandoval and Ramirez each bring an attractive set of skills to the table. Sandoval is a solid defensive third baseman, and a productive hitter. Ramirez will likely need to make a position change into the outfield, but the majority of his value comes from his bat. However, each player has concerns going forward. Sandoval has never been a physical specimen, and some worry about how he will age as he heads into his thirties. Ramirez looks like an athlete, but has a history of injury trouble that comes with him. Boston has committed big dollars to Hanley through his age 35 season, so they are going to hope that those injury problems are a thing of the past. If it goes right, the Red Sox will have quickly kick started their offense for 2015 and beyond. Both are talented offensive players with track records of excellent production. If it goes wrong, each player could spend significant time on the disabled list over the next few years, or have their production decline quicker than expected. There is a gamble associated with any free agent signing, but these two moves seem to carry a little more risk than average. A team with the financial resources of the Red Sox can afford to take that gamble more than other teams, but their fortunes are still going to be closely tied to the production of these two players.